Residential ‘Resort Style’ area with landscape and waterfall. 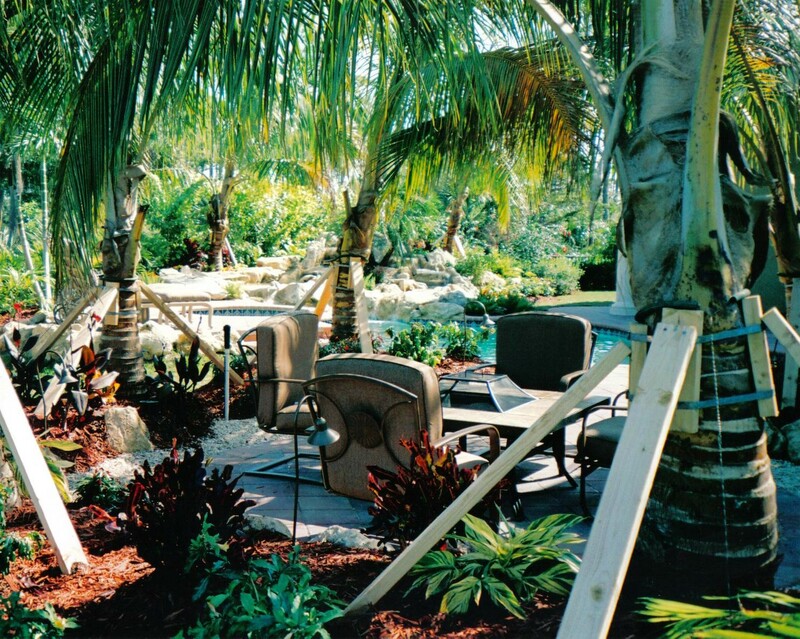 In view here, up close is a Coconut palm hammock providing much shade throughout the day with a new paver patio extension inside for the chairs and fire pit table for entertaining. Landscape lighting adds a beautiful view for the night, while the new real Cap Rock waterfall that was added to this existing pool adds a centerpiece which can be viewed from throughout the many seating areas behind this home, as well as the main room views through large windows inside.